Robert C. Divine is leader of the Global Immigration Group of Baker, Donelson, Bearman, Caldwell, & Berkowitz, P.C., a law firm of over 650 lawyers and public policy advisors with offices in 20 cities in the U.S. including Washington, D.C. He also served from July 2004 until November 2006 as Chief Counsel and for a time Acting Director of U.S. Citizenship & Immigration Services (USCIS). Mr. Divine is markedly involved in EB-5 advocacy and has served five years as Vice President of the Association to Invest in the USA (IIUSA), an association for EB-5 regional centers. 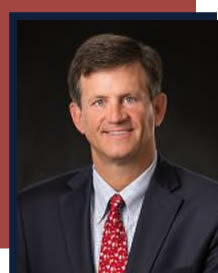 His practice includes all aspects of U.S. immigration law, and represents many business developers in creating, managing and using "Regional Centers" that can create indirect jobs toward the 10 new U.S. jobs whose creation can give rise to EB-5 permanent residence for investment in the developers' projects. He coordinates this work with attorneys supporting securities law compliance in offerings to investors, with economists identifying "targeted employment areas" and projecting indirect job creation, with licensed securities brokers coordinating offerings, and with attorneys obtaining U.S. Government (OFAC) licenses to serve investors from restricted countries. He also represents individual investors in obtaining conditional permanent residence and in removing conditions from permanent residence. Disclaimer: Robert Divine and Baker Donelson do not recommend or endorse any investment opportunity, and they urge prospective investors to consult their own business and legal counsel to evaluate any investment. Jackie G. Prester is chair of the Financial Services Transactions Group of Baker, Donelson, Bearman, Caldwell, & Berkowitz, P.C., She serves as securities counsel for public company clients and offers extensive corporate, regulatory and securities experience to financial institutions, public company clients, broker-dealers and investment advisers. 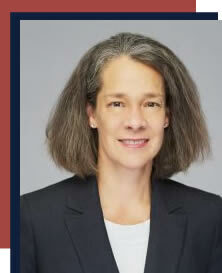 She also worked as a national bank examiner with the Office of the Comptroller of the Currency from 1987 – 1993. Ms. Prester regularly counsels broker-dealers and registered investment advisers on compliance issues and assists them with acquisitions within the industry. She has specific experience advising clients on securities issues relating to the EB-5 Immigrant Investor Program, and routinely advises companies raising capital through private placements of securities, as well as offerings registered with the SEC. Disclaimer: Jackie Prester and Baker Donelson do not recommend or endorse any investment opportunity, and they urge prospective investors to consult their own business and legal counsel to evaluate any investment.